Last week while watching SharkTank I heard about a new company called Plated. 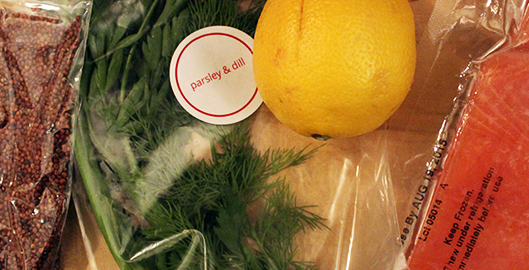 Plated is a service that delivers a box to your door with the exact ingredients you need to cook a delicious meal. I love to cook and my friends and family say I’m pretty good at it. But sometimes cooking stresses me out because I have to decide what to cook, then I have to figure out what I need to buy, then I need to actually buy it, and then I need to cook it!! Sometimes, I end up not cooking and I end up with wasted ingredients. Or if I do cook, sometimes I end up with extra of one ingredient because I bought a large quantity of it and only needed say 1/4 cup of it. Plated aims to let people just enjoy cooking by taking all the friction out of the work that’s needed before you actually get to cook! 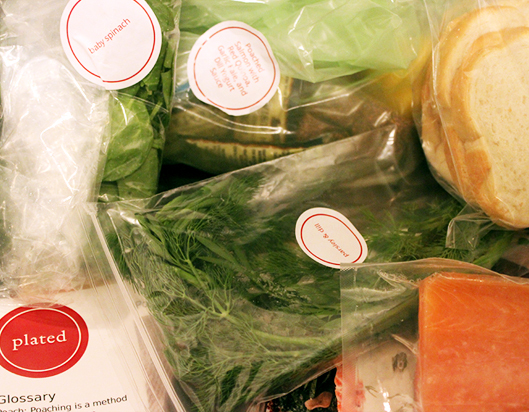 So with Plated, they do the planning, shopping, and measuring for you. And the results are pretty good. Here’s my experience of cooking with Plated. 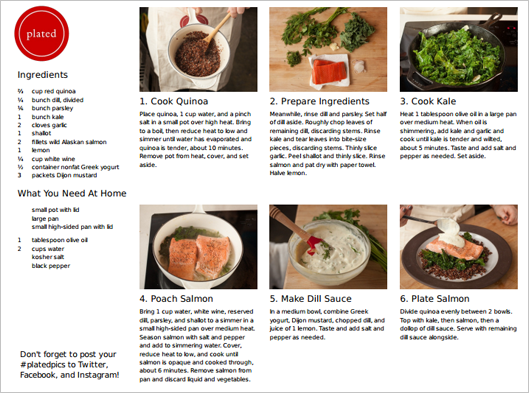 I cooked Poached Salmon with Red Quinoa, Kale, and Dill Yogurt Sauce. The box with all the ingredients is packed with insulating bubble wrap and an ice pack. 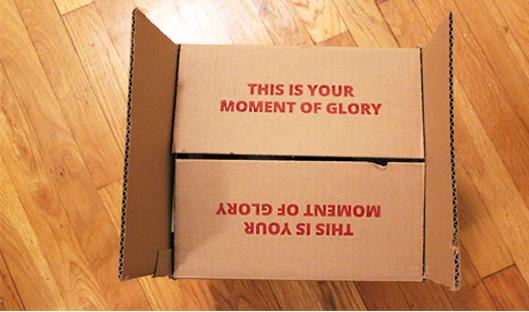 This is great because it means that if you’re at work during the day, the box will be ok outside your door for a few hours. I arrived home from work to find the delivery box outside my door. After I opened the box, all the ingredients were packed and the salmon was still frozen. Plated really takes any guess work out of cooking. Every single ingredient is labeled with a sticker so you don’t accidentally mistake herbs or something like that. Each recipe comes with a large recipe card which shows you what you’re going to make, and the step by step instructions along with photos, to make sure any questions you have are answered. Each recipe also has a video that you can watch as well. I’m fairly comfortable cooking, but for someone who hasn’t done a lot of cooking, I can see how these very visual recipe cards could instill a lot of confidence. The poached salmon with red quinoa, kale, and dill yogurt sauce turned out fairly well. Here’s a Instagram video that I made while I was preparing the final plate. It was supposed to produce two portions. But I ended up getting three portions out of it. So that was a nice surprise. However, if you’re a guy or have a big appetite, you would probably end up with the recommended two portions! Plated requires that you order a minimum of four “plates” in order to check out. Each meal can be ordered to have 2, 4, or 6 plates. And each plate costs $12 (if you have the $10 a month membership, without a membership it’s $15 a plate). So to check out of Plated, you need to spend a minimum of $48 (four “plates”). This breaks down to $12 per person per meal. As I mentioned, I found that if you have a smaller appetite, you could get 3 actual “plates” out of Plated serving for 2 “plates”. So, this means that for $48 you could get six actual “plates” which brings the cost down to $8 per person per meal. I haven’t done the math concerning what I spend on groceries per week. However, what I do love about Plated is the time it saves me (time to decide what to cook, time to make a shopping list, time to actually do the cooking). If I were to consider doing Plated more regularly, I’d be willing to account for the time it saves me as a part of the cost. So that’s something to think about! As soon as I opened the box I thought to myself “wow this is going to produce a lot of waste”. Every time you receive e a plated delivery, you’re left with a big cardboard box, the insulating bubble wrap, and a ice pack. Then, there’s all the packaging that’s associated with each ingredient. For example, the poached salmon I cooked called for white wine. The wine even came in a clear travel size plastic container (similar to a travel size shampoo bottle). To me, there’s a lot of waste that’s produced by packing every ingredient individually. I was trying to think of how Plated could improve this issue of waste. I thought I would be able to use the Ziploc bags. But, the stickers that label each bag are impossible to remove. So, I wonder if Plated could come up with another way label all the ingredients. Also, concerning the large cardboard box that everything comes in, I wonder if plated could use re-usable small coolers. This would work especially well for repeat customers. For example, when the Plated delivery person gives me my next order, I could give them an empty cooler. Overall, I see how Plated helps me not waste food by giving me exactly what I need. However, I wonder if in doing so, I am actually producing more waste through all the individual packaging of ingredients and the packaging associated with each delivery. Here’s a link to so you can try out Plated for yourself. It’s available in nearly 80% of the USA and I’m curious to hear your thoughts, especially around the concerns I have about the packaging and how it could be more sustainable.